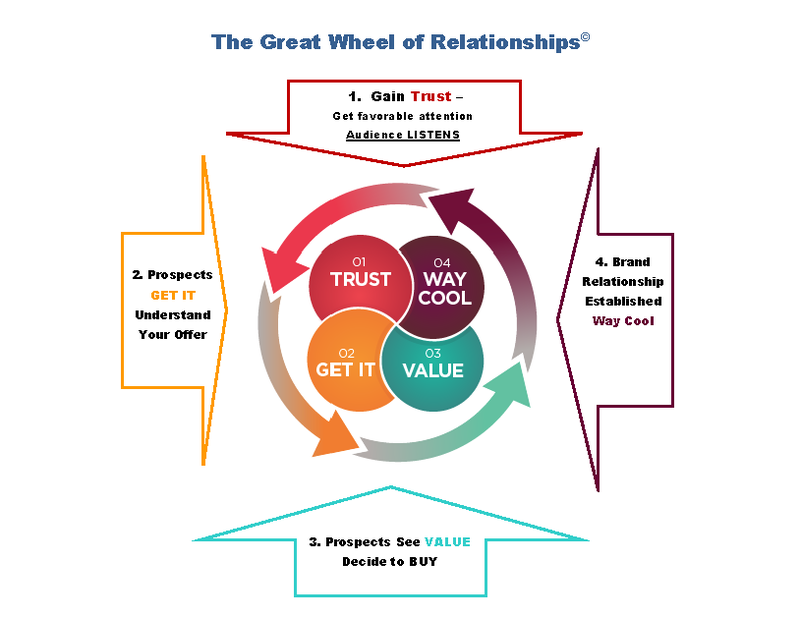 We provide corporate copywriting based on a process we invented, the Great Wheel of Relationships© The Great Wheel Appeals to Both the Rational and the Emotional thinking of a prospect. You HAVE to be different and stand out! We’re all uber-busy, with too little time and too much to do. So, like most people we glance through all the “stuff” we receive, making quick decisions on what will actually be considered. We all do this, every day. It doesn’t make any difference whether we’re dealing with junk mail or electronic junk – television, print ads, emails, social media posts. We discard or ignore countless things with the chant “Ignore the junk” running in the background. Unless something really DIFFERENT catches your interest, it gets DISCARDED – right now, after only a quick glance.